After D.E.A.P. !70! was such a great success, here is now its successor. Not that the work done by Related Designs was bad, but it leaves much to be desired. A number of users of Annozone sat down to design a lot of small modifications. Many ideas, many great and complex mods, but also many problems - problems due to incompatibilities between the mods. I.A.A.M. puts an end to these worries. At least as long as you stick to certain rules. Some of you might find we have simply borrowed from the small mods... but I can assure you we didn't. There is something else worth telling you: If all players have the same version, the game will remain multi-player capable. On these webpages you will find all there is to know about this modification of Anno 1404 (Dawn of Discovery). As most of it is very important I urge you to read everything carefully. All right ... set sail! New options available! Issues to be taken note of! Should be read carefully! I.A.A.M. 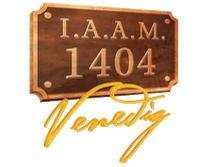 1404 is a modification designed by users. 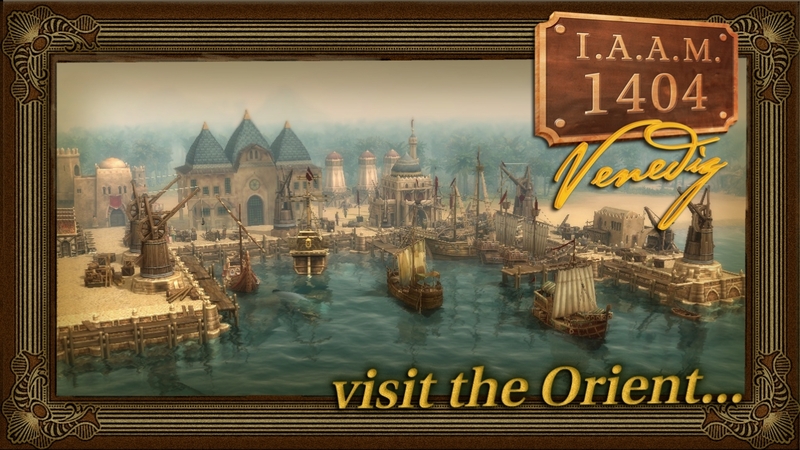 Installing this mod will modify or overwrite original Anno 1404 (Dawn of Discovery) files. These modifications can only be reversed by re-installing the original program or by copying the original files saved as backups before the installation of this mod. Installing this mod is entirely at your own risk. Under no circumstances shall the designer/author of this modification or the designer/author of the installation program or the distributor of this software be liable for any damages whatsoever to your computer system or operating system or any other program or application arising in any way out of the installation or use of this mod. All graphics, artwork and the entire text, as well as all other contents of the modification and this website, are copyrighted by Project Anno, Ubisoft, SUNFLOWERS GMBH or Related Designs. You may not modify, publish, transmit, participate in the transfer or sale, create derivative works, or in any way exploit, any of the contents contained on this website, or the progranm or mod, without explicit consent of the authors or copyright holders. Trademarks or registered trademarks are not indicated as such on this website.